Sending you two middle-to-late SPRING cartoons today. 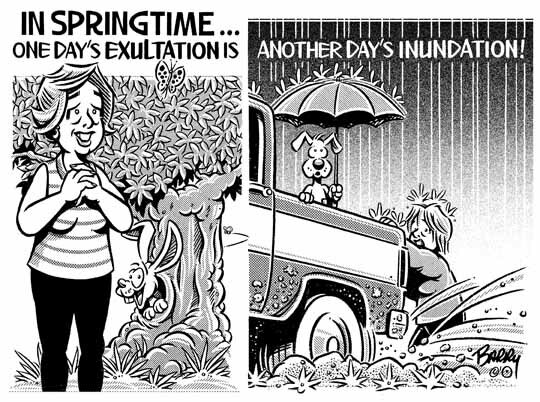 This first one highlights the fickle nature of Spring weather — for those of you who are, indeed, experiencing the real thing. If you're located in drought-infested country, you may want to pass on it for now. HA! BTW: I've placed ALL the new SPRING additions at the top of the Category.